Like most things in motherhood I was taken by surprise by my almost immediate love for baby wearing. Before Foster was born I hadn’t put too much thought into baby wearing. I had a Moby wrap someone had gifted me and a hand me down Infantino Baby Carrier given to me by a fellow mom. Little did I know that these two baby wearing devices would open up a whole new world for me. While allowing me to enjoy motherhood with freedom. Affiliate links are included at no extra cost to you. Baby Carriers can also be found on most Buy, Sell, Trade used sites. You see I wanted to hold my baby all the time! I would hold him while I nursed. It’d be kind of weird not to, right? Then while he napped, I would hold him. If he was awake I was giving him googley eyes and using the annoying mom voice while, you guessed it, holding him. While I loved holding my baby. I literally would not change it for a million, trillion dollars. There came a point where I was feeling a little like a slacker human. With all the baby holding how could I ever get anything done?! One day when my inability to check anything off my to-do list (and I’m a to-do list kinda girl) was really getting to me I decided to try something different. I busted out the Moby wrap that I thankfully found shoved in a drawer and I timidly attempted to wrap my baby in this ginormous piece of cloth. My first go around was less than graceful, so was my second and third. But then by the fourth of fifth try I had done it! My baby was safely attached to me and I could move about my home, hands free but still close to my baby. I was baby wearing! I’ll never forget sweeping our floors for the fist time while I was proudly baby wearing my son. By the end of this (not so big chore), I legit felt like Wonder Woman!! Surely someone was going to knock on my door and give me a medal for keeping my baby happy and close to me while doing a chore!? Sadly, that didn’t happen but something else did. I was hooked to baby wearing. It was the first time since having my son that I felt like I could still do things I did before having my baby. Not that the only think I do is sweep (I actually don’t do that nearly enough). But, sweeping while baby wearing symbolized all the things I knew I could do. The only difference is now I could do them while baby wearing. It may sound silly that I felt accomplished by baby wearing and doing chores. But if you are a new mom, old mom, in between mom or any type of mom. You get me! After having a baby it is kind of like you have to re-learn doing things. Mine started with sweeping while baby wearing. But, it didn’t stop there. I wanted to attempt baby wearing out in public but I was too nervous to attempt wrapping him in the Moby. I needed a couch, bed or something soft to brace the fall in case my still not so awesome wrapping skills failed me. That’s when I turned to the Infantino Carrier. To me this was baby wearing on the next level. 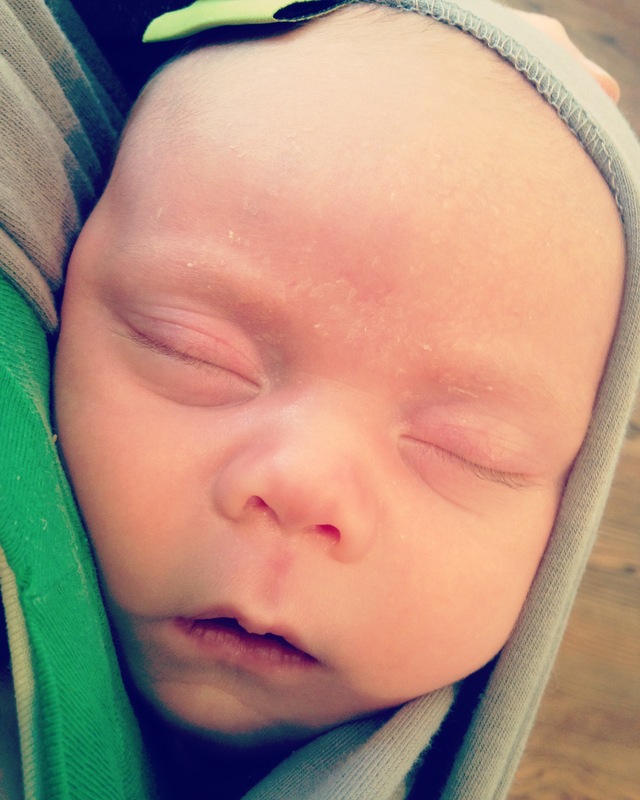 I felt like my son was securely against my body and I wasn’t worried that he’d fall out. Obviously, some people are much more skilled with the Moby than me. But for me after trying the Infantino Carrier I never turned back. It was easier to put on, take off and it just felt more secure. I’m sure many people would disagree but that’s the beautiful thing about baby wearing. You have so many options. From then on my Infantion Carrier was my go to. I cleaned while baby wearing. 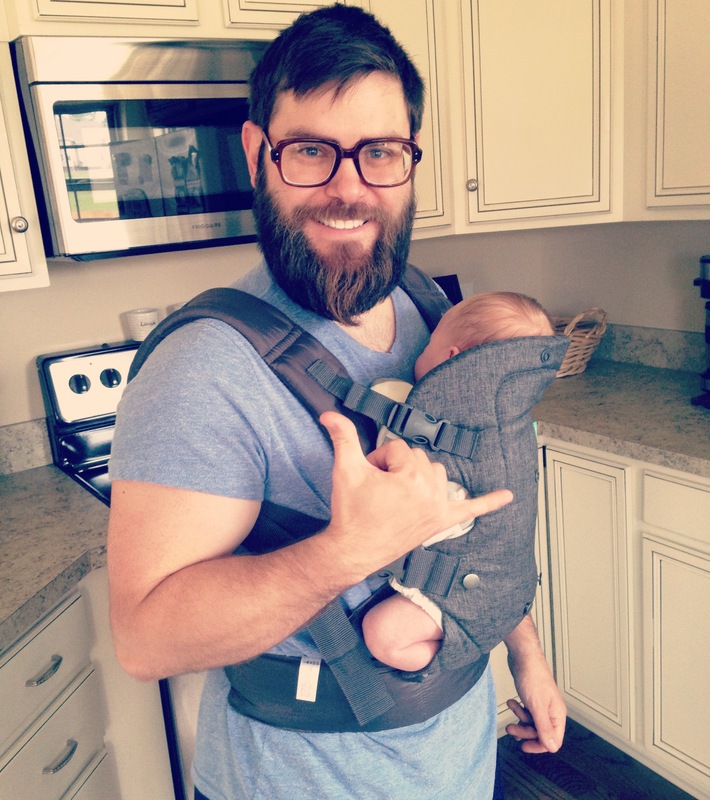 Wrote blogs while baby wearing. Ran errands while baby wearing. Sometimes I just walked around the back yard while baby wearing (the witching hour). Foster napped while baby wearing. Walked the dog while baby wearing. Attended events while baby wearing. As my confidence grew so did my desire to take baby wearing to the next level. I decided that I was going to try and hike while baby wearing. 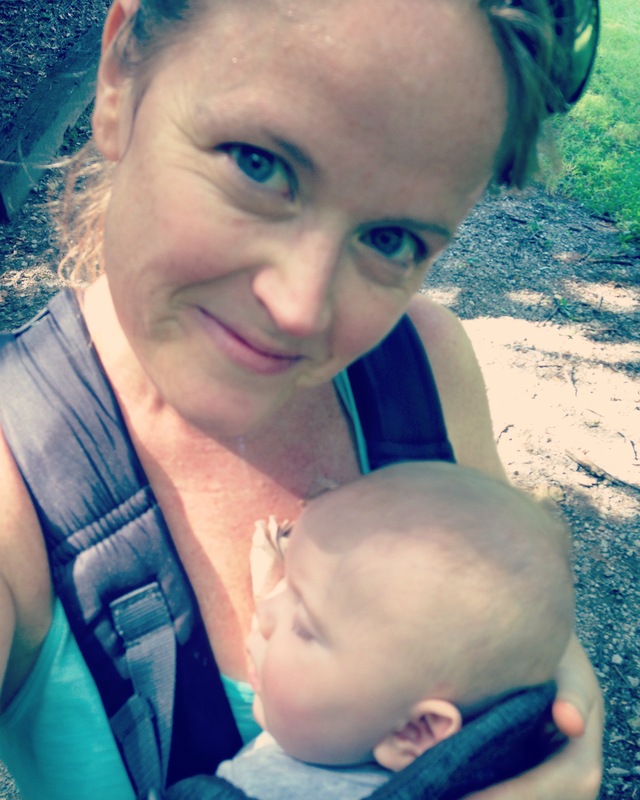 I loved hiking before being pregnant and while being pregnant, so the thought of doing it with my baby was really exciting to me (I’m a nerd). Our first hike was another liberating experience. It actually surpassed the sweeping/super hero feeling because I was able to do something I loved before having my baby. But, now I could do it with me baby! I felt like me. I remember holding his head steady the entire time because I was so nervous he would get jolted or I would fall. But, he didn’t and I didn’t and we completed our first hike together. 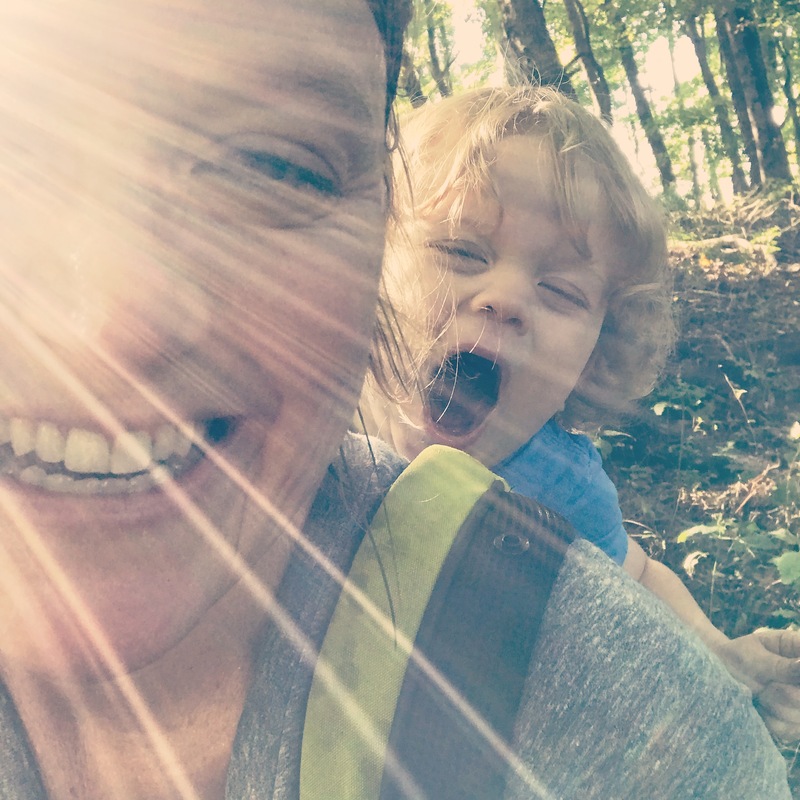 This was such a healthy experience for me because I think often when us moms start to feel confined or isolated that’s when depression, anxiety and other not so awesome things can set in. For me getting out of the house and into nature helped combat a lot of anxious feelings. While allowing me to feel more like me again and that can be a big deal for a new mom or any mom. From then on we hiked a lot!! Baby wearing was officially my favorite way to carry my son. It was also very convenient because my stroller could not fit in my car at the time. Two door car and a baby are not a good mix. Without baby wearing I know I would have felt so confined because I would have only been able to walk around the neighborhood with my son in the stroller. But since I had entered the world of baby wearing I was able to take it literally everywhere with me. It gave me a since of independence when I really wasn’t sure what I was doing because motherhood is confusing. Baby wearing continued and eventually my son outgrew the Infantion Carrier. I knew I needed something a little more heavy duty. So, I started doing research. This time I wanted a carrier that could be worn on my back because he was interested in seeing more than my chest. After some time I landed upon an Ergo Carrier. They are pretty expensive so I ended up buying one on Varage Sale. I would have really liked the Ergo 360 but I couldn’t find one used at the time. But the Ergo was definitely an upgrade from the Infantino. It offered a lot more support and my back felt so much better. My son is now two years old, weighs 30lbs and I still carry him in the Ergo Carrier. For a full list of baby wearing click here. 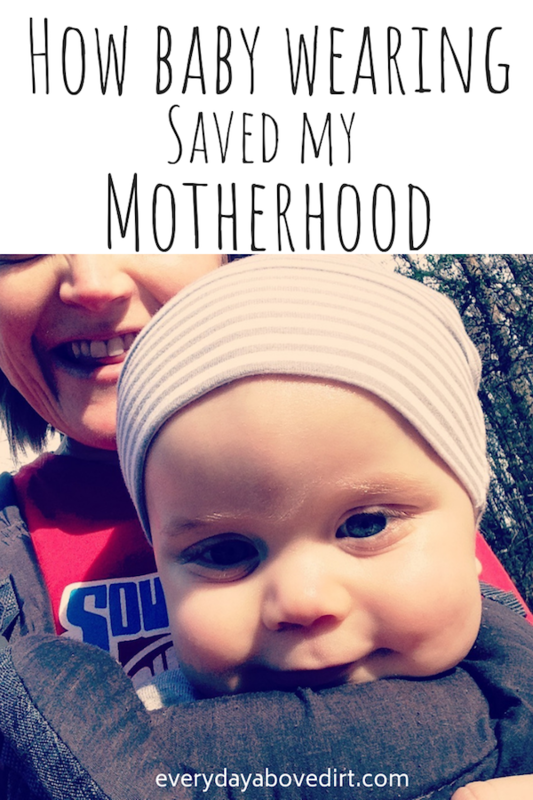 I absolutely credit baby wearing for saving my motherhood journey. It gave me a way to still be me while including my baby and keeping him safe and literally attached to me. All while saving my sanity! I’ll leave you with this. Because dads can baby wear too!